It is Star Wars fever all over the world now that Episode 7: The Force Awakens, has finally opened in cinemas. We were hoping to do another Bake-Off Movie Countdown, where we imagine what the Star Wars films might have been called if Paul Hollywood starred in them, but we couldn't come up with many baking puns, so we gave up on that idea. Our best one was Episode II: Attack of the Clones, which would have become: Star Wars Episode II: Attack of the Scones. Not bad. As we mentioned in the last couple of podcasts, we bumped into the Star Wars cast in Lidls recently, kind of, and we got some of the best characters to do a quick interview with us. Nia recorded them on her iPhone, and so far we've play out our interviews with lovely Yoda, moody Han Solo and scary Darth Vader. Well this week we're going to let you listen to our chat with C3PO. 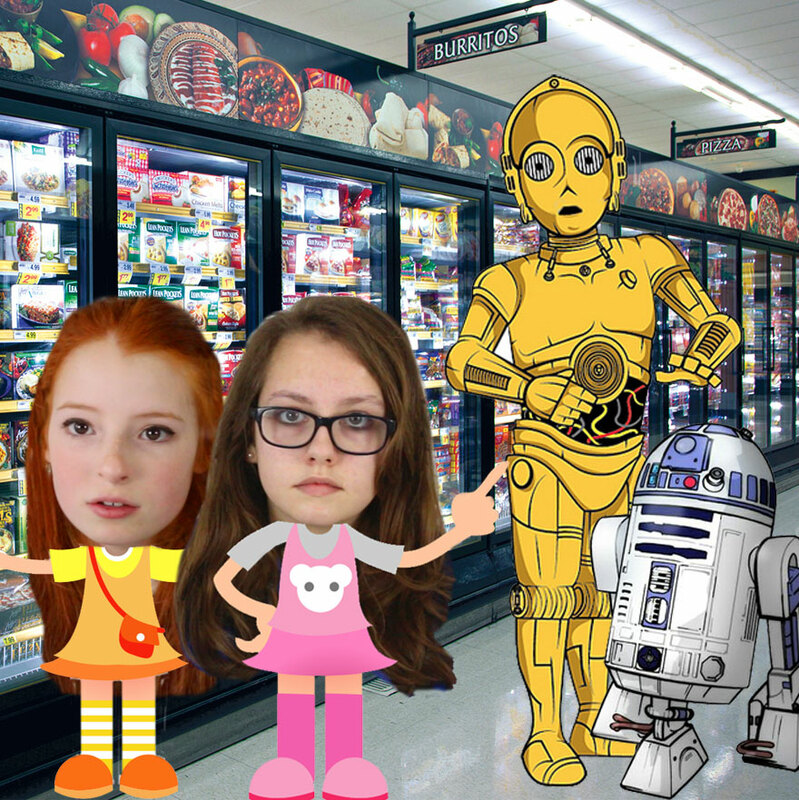 We noticed C3PO in the frozen food section, looking at the strawberry ice cream and chocolate cakes with his friend R2D2. We're not quite sure why, seeing as he's a robot. Anyway, here is the interview. Sorry about the background noise of the supermarket and the beeping checkouts. You're C3PO aren't you? Do you have time for a quick chat? No you won't. Is it OK if we record this interview for the NiliPOD. We don't really have time for this, we're in a bit of a rush Tin Man.